Mount your GoPro to your dog to capture the world from his point of view. 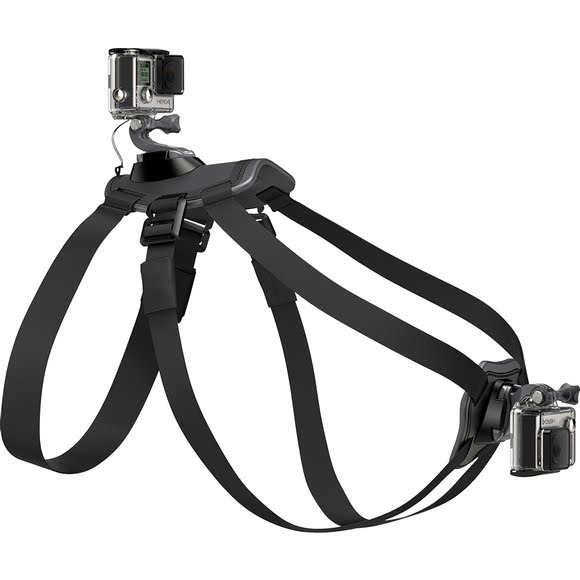 This harness features two mounting locations for a variety of perspectives: the chest, for bone-chewing, digging and front-paw action, and the back, for over-the-head shots of running, jumping, fetch and more. Made of washable, water-friendly material, your dog can swim, play and get dirty without a worry. Warning : Not intended for walking or restraining your dog. Never leave dog unattended wearing Fetch.